dreaming of petroglyphs on red desert rock. but there's tricky ice under two inches of new snow. just cold wind spitting ice down the back of my coat. my feet draw old patterns on the cold concrete. Wanda Schubmehl began a serious study of poetry around the time she turned 40, and the current collection contains poems written over the next 20 years. She has worked as a secretary in a country music booking agency, a children's librarian, and a clinical social worker. She and her husband have two daughters, and currently live in upstate New York. 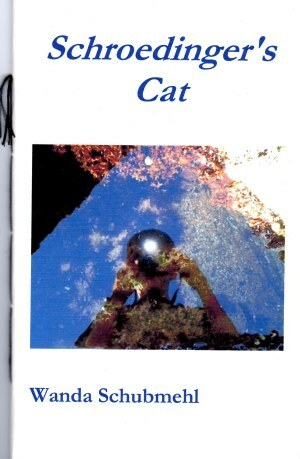 is a 40 page hand-stitched chapbook - $10.00.